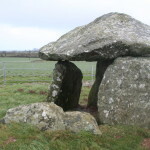 Portal dolmens are the simplest form of megalithic tomb. 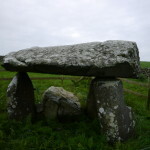 They comprise several upright stones, and a horizontal capstone which rests on these. 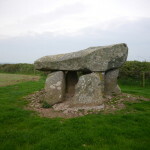 Bachwen, on the Llŷn Peninsula is an example of this type of monument. 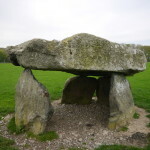 Be careful not to bump your head when you are inside the dolmen. Please be careful around the capstone as it can be precariously balanced at some sites. Walk around the outside of the dolmen, taking photographs from all around the outside. Try to get good coverage on the top of the dolmen, but please don’t climb on top of the capstone! 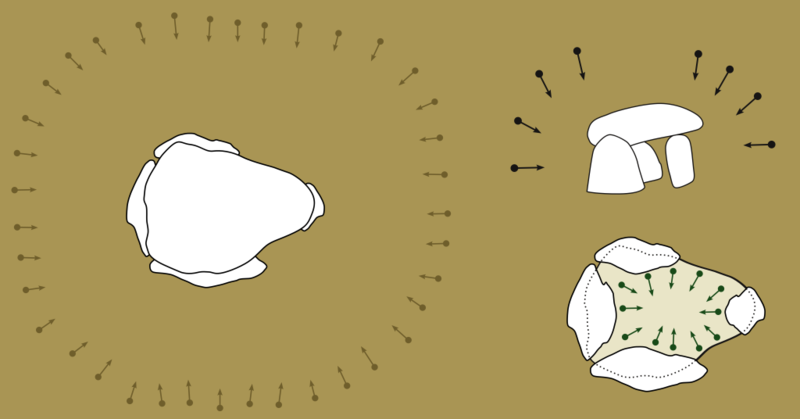 Photograph the inside of the dolmen, including the underneath of the capstone and the floor. 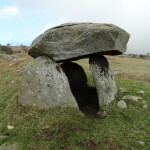 Using a tripod will ensure your photographs are not blurry if there is low lighting inside the dolmen. You can use a flash if you need to.